Watch this video to see a leading bariatric surgeon from Costa Rica talk about the staff at his medical facility. His medical facility not only offers affordable weight loss surgery options, it also houses some of the finest medical professional in Costa Rica. “We’ve been working together for about six years, with multi-disciplinary team. That means we have intensive-care specialist, medicine specialist, psychiatrist, psychologist, dietitians, physiotherapists and also we work three surgeons and two anesthesiologists. Bariatric Surgery World offers world-class medical services at its network hospitals and clinics in San Jose, Costa Rica. 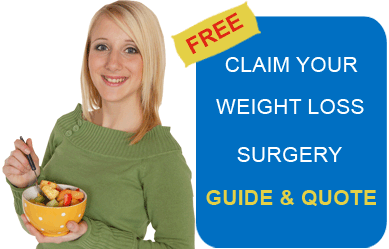 In case you are not able to manage enough funds to undergo a surgery of your choice, BSW can also help you procure a weight loss surgery loan. With the latest technology available in the medical field, our experienced medical professional ensure you are taken very good care of. Our resident doctors will make sure all your queries are answered to your satisfaction. You may want to know about the recovery time after a gastric bypass surgery, or you may want to know if you should opt for gastric plication or gastric sleeve, our doctors and bariatric center staff will pay sincere attention to all your questions, and ensure your satisfaction before you proceed with the procedure of your choice. For more information on bariatric surgery centers in Costa Rica, fill and submit the estimate request form on the right.